This is the summary of consumer reviews for KRUPS 203 Electric Spice and Coffee Grinder with Stainless Steel Blades. The BoolPool rating for this product is Very Good, with 4.40 stars, and the price range is $19.95-$22.55. KRUPS 203 Electric Grinder has a powerful 160-watt motor which moves rapidly to evenly grind up to three ounces of coffee or spices at once. The stainless steel blades can grind beans from coarse to fine in seconds for that perfect espresso shot. This small unit is very versatile and can grind spices, flax seeds and bread. It has a lid activated safety switch. It is designed for easy pouring, handling and cleaning. 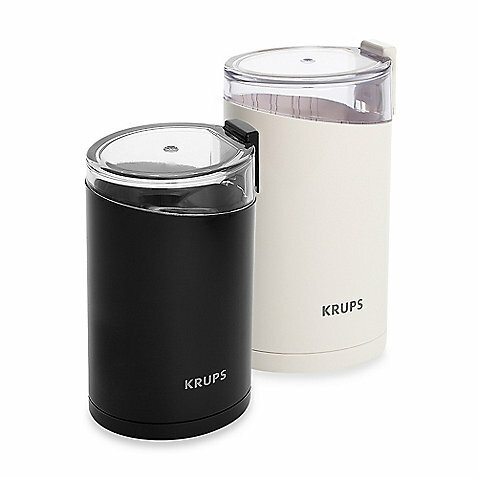 Users love this KRUPS 203 Electric grinder but sometimes find it hard to empty out as the fine coffee sticks inside. Overall, KRUPS 203 Electric Spice and Coffee Grinder with Stainless Steel Blades is a must have in kitchen of coffee lovers. It is a durable and inexpensive, magical device, which can add aroma and spice to your life. Grinds fine expresso grind in about 15 seconds, drip grind in less: And fresh ground coffee is really really good. Grinds really well, lasts forever. So while it works really really well for grinding spices and I even tired grinding a little coffee just to see how it worked and it works great, but I'm sure some of that ground pepper was also in there. By pulsing you can obtain a coarse grind, but for fine, almost powder-like, grinds, this thing shines. DO buy this if you frequently make fine grinds for espressos. Ive ground cloves, cardamom, cinnamon, black pepper, coriander seeds, cumin seeds, etc etc. It always grinds the spices down to a nice uniform powder every time. It can't do coarse grinds very well at all! It'll grind coarse to fine dependent on the time you spend holding down the ON button. This grinder gives a perfect espresso grind! This little grinder grinds coffee perfectly for my espresso and is easy to operate. I bought this because I decided to freshly grind my coffee and my current grinder is used to grind spice. ...this guy is. It grinds coffee. It's maintained perfect coffee grinding all these years. I grind then cook the grains/beans. I mainly use an espresso machine which uses find grind and this's exactly what I want. It really is hard to control it if you want say a coarser grind for a drip machine, but for me it's perfect. It'll give you a nice grind if you let it. It's easy to use, grinds fast and evenly, and cleans up with a wet paper towel. To clean, grind some uncooked rice. The clear plastic top can easily be cleaned and the grinding compartment can be wiped down with a wet paper towel if you desire to clean it regularly. It's stayed clean even from grinding hot spices. Makes cleaning the fine powder difficult. To clean it, I just grind up some rice, empty it and wipe it out with a damp paper towel. End result, while it did a fine job grinding, it's impossible to clean! Very easy to use and even easier clean up :). It also works for grinding flax seeds. In my mind the quietness, ease of use and ease of cleaning (the black model is easier to clean than white) make this a must-have for coffee lovers. My coffee tastes better now because I'm starting with fresh beans as opposed to prepared grounds. - I remain surprised how fast it turns beans into ground coffee. Getting the grounds out of there requires a little extra work beyond simply inverting and tapping. I like this machine so much - it makes short work of beans or grinding spices. - Ground cumin is WAY better in salsas and guacamole, even more so than grinding your own coffee vs pre-ground coffee. What a difference it makes having freshly ground coffee every morning. So we bought the Braun KSM-2 grinder for the purpose, and it worked reasonably well. Ground coffee sticks, face it. It also works well to grind nuts and to turn toast into breadcrumbs -- I've used it for both purposes. Somewhat related to this, I think, is that beans shouldn't be ground in this grinder for more than 20 seconds. I grind flax seeds everyday (2 tablespoons). 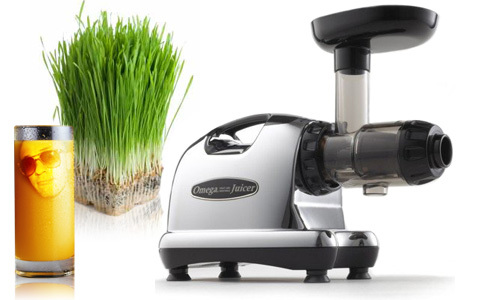 A grinder that can grind flax seeds. The product does a good job grinding the flax seeds. I bought this product, not to grind coffee beans, but to grind flax seeds for the greatest health benefit...And it works great!. i bought this great little grinder for the sole purpose of grinding flax seeds. I need it for flax seeds because those oily little seeds are impossible to grind with other grinders. I bought it to grind seeds and spices and stuff. This Krups grinder does flax seeds excellently. I bought it to grind flax seeds it's tiny & powerful...it does make noise but the machine makes flaxseed as fine as face powder....I love it!!. I bought this to grind spices and seeds and am very pleased with it. We grind espresso beans every morning, and the Krups spins the fastest of all grinders we've tried to grind the espresso beans fine enough to make great espresso. Grinds whole beans according to your desired taste. It also grinds coffee fine. takes mere seconds to grind a container full of beans to whatever fineness you wish. This makes it easier to reduce grind times and with additional speed, can reduce whole beans to powder in less than a minute (I've had a Black n' Decker that couldn't grind beans for Turkish coffee if you held the button for half an hour). If you don't grind long enough, you'll leave a few beans whole or in large pieces. The use is very simple - add coffee beans, plug it in, and push down button to grind. Let me say, the grinder does grinds the coffee beans. However, a few seconds later, the machine came back to life and was grinding the beans to a fine mist without me touching it. Quite a lot of round, domed grinders I've used have unsharpened blades on a mount that's too high to really grind beans fine enough for specialty coffee like espresso or Turkish. It does a good job on everything from cinnamon to dried chiles to cloves and peppercorns. We've used everything from coffee, peppercorns and whole cinnamon sticks. This's nice and cheap but works wonders. Does the job very nicely...you won't be sorry if you buy this one. And coffee is much better. Simply does the job simply!! Freshly toasted and ground spices really taste so much better than the bland, pre-ground stuff. It's a bargain compared to a dedicated spice grinder and works just as well for dry stuff.